What is a mom is to do? Me personally? This year has been a humdinger. No, really. I mean this year is one for the books. Ah yes, I launched my first book… Stolen Jesus. I also turned in my second book; Sacred Ground Sticky Floors: How Less Than Perfect Parents Can Raise Kids Who are (kind of) Great. It comes out next year. Aside from a book launch we sent our oldest son off to Marine Bootcamp, our oldest daughter eloped, and our long-term foster placement, Joy-baby, returned to her birth family after 18 months in my arms. They ache my arms that is, I miss her to my core. In the wake of that loss, I called my husband from my parents’ home in Houston and asked him to sell our ranch, leave the only home he’s ever known and follow me to a new life closer to my family. We moved 4 days before hurricane Harvey, so we evacuated and moved again. My five-year-old lost his everloving mind. My tween isn’t speaking to me. My roof leaks, there are squirrels in my attic, black mold in my pool house, and I want to eat macaroni and cheese in my yoga pants and watch reruns of Law and Order… sometimes Friends, and Seinfeld. And here comes freaking Santa Claus. The last “friend” of mine that put a countdown for Christmas on Facebook not only got unfriended and blocked… I also reported them to the Facebook police for lewd and dangerous content. Yep, that was me, you had it coming. Yes, I love Jesus… I especially love Baby Jesus. Little nugget in a manager, with a teenage mother – my life’s work – and a foster dad. Be still my heart. These are my peeps. I know them. I have meditated on them day and night. So don’t start with the Christmas Machine of how I should be because… Jesus. And is that so wrong? Well, yes. I am the Christmas mom. Well, second only to my mom – who rights every wrong from her little orphan Annie past to fulfill all the hopes and dreams of any person who has or had her last name or calls her Nana, may or may not eventually be related to her, bags her groceries, adjusts her neck, makes her appointments, files her nails, fills her prescriptions, or delivers her mail. Heads up, if you know her, you’re getting a copy of my book for Christmas. So… what to do? I hear you. I get the emails, a precious daddy in a nursing home, a beloved aunt in Hospice, the end of a marriage, the loss of a child, a layoff… a foreclosure, a broken spirit, and a crushed heart. And you are the mom. You create the sugar plums… you perpetuate the theme. If you don’t…. it won’t, and that will surely be what they remember. 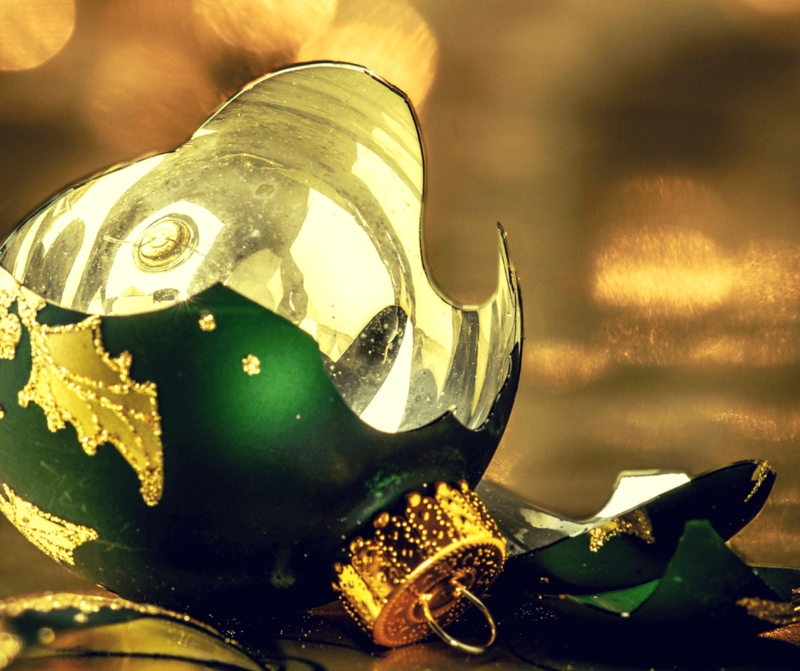 The worst Christmas ever cause… mom didn’t. To date, my older kids will tell you their worst Christmas was the year we were waiting for our first adoption placement. We had our butts kicked and hung out to dry. Justin’s brother had been killed in an accident, my mother-in-law had cancer, and I just knew… my baby was out there. I didn’t know how or when but I couldn’t focus on the mistletoe or the chestnuts roasting. And I tanked and gave my children… a goat farm. Yeah. A freaking goat farm. And they will NEVER let me forget it. I thought it would be an opportunity for them to make money. I thought it would be fun, and a distraction. 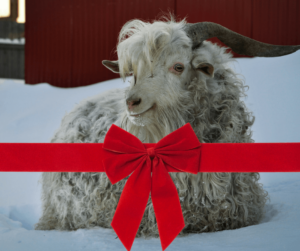 We were that funky homeschool family, and we gave our children an Angora goat farm for Christmas. Glory to God, we got a phone call to come pick up Sam two days later. The goat farm funds were divided equally among the children, and they stopped hating us for the lamest gift in history… last week. So, what of it? What if you can’t? What if the best ideas are the worst? What if there is no money, no man, no plan, no good cheer? What does that mean for this season of good cheer? How can the superpower that is motherhood survive a crappy yuletide season? I propose there are three keys. Okay, so no one is listening? Pretending you are okay almost always leads to a total breakdown, screaming, yelling, crying, and cursing. We call this “Christmas Mom Meltdown.” And in a perfect world, it ends with the mom screeching “WELL MERRY CHRISTMAS YOU NASTY BRATS!!! !” A door slamming and the angel falling off the Christmas tree. Under the horrible threats, “well a baby reindeer just died, and Santa hates you.” Is usually a frazzled and precious woman who only wants to do it all, be all, and fulfill all, so her babies have tender Christmas memories of a happy childhood. Take a timeout. Ugh, I know… if you disappear for even five minutes, there will be peanut butter on the curtains, and someone will shave the cat. But, it is crunch time. So plan ahead. I would much rather have a massage or an hour alone at Starbucks than I would ANY other gift. As a matter of fact, give me $25 and let me go to TJMaxx alone. Oh, Santa baby that is all I really want for Christmas. Of course, this goes back to rule number one, be honest. Be honest with whoever will listen and ask for that which would nurture you and restore you to the Christmas miracle worker we all know and love. What do you want for Christmas? What do you need to take care of your elderly mother, a sick baby, or recover from a year that you wouldn’t wish on your worst enemy? What? No one to tell your Christmas wish list too? Throw in the towel. A meager Christmas is not going to be the end of the world. Last year was the first year in five years I put out my Christmas village. The kids were all so excited. It was good for me to set that sweet little village out on a faux cotton winter wonderland on top of the baby grand. I put the tiny lights in each of the houses and the toddlers ooohed and ahhhhed at the wonder. I had forgotten how much I loved that little village and the memories it contained. But even without the village, Christmas has carried on. Yes, I know the theme. Every year another cheesy holiday show comes out, and Christmas must be saved. I am always fascinated that no storyteller has ever made the villain the Mom. This year on PBS The Mom who Ruined Christmas: Can Billy and Susie stop the wicked mom from destroying Christmas? 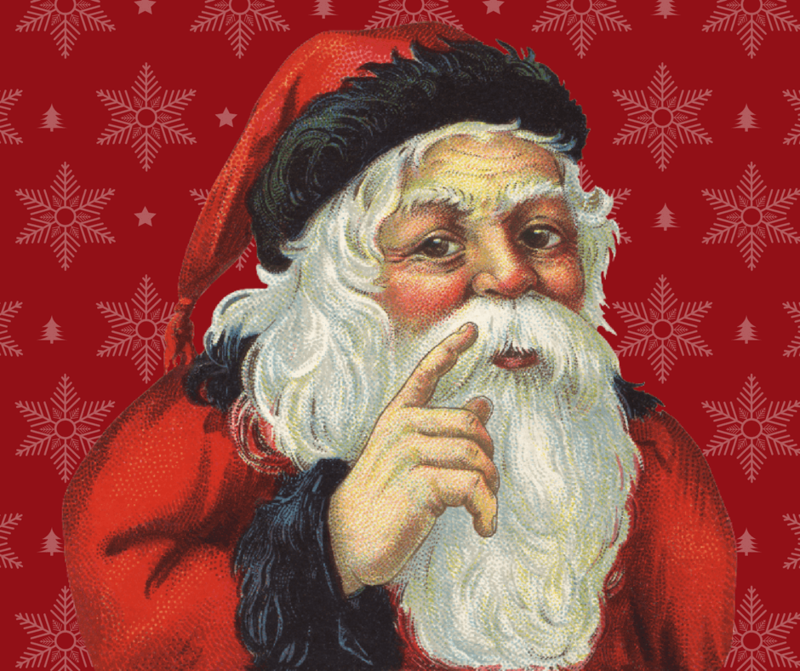 The children of the world are counting on them… will they save Santa in time??? Stay tuned…. Again, see point one. Be honest. I can’t this year. My heart hurts. My head is weary. This year I need a break from (insert something you need to take off your list of have to) and replace it with a compromise you can live with. Maybe you need to order pies, skip Christmas cards, let your mother-in-law cook Christmas dinner, or opt to only use gift bags… and sorry, they won’t all match. What can get off the list so that you aren’t losing it? And if you only put out half the village? If you buy store bought cookies for Santa? So? A tradition is only a blessing when it produces good fruit. Getting drunk and running naked through the yard calling your sister-in-law a sleazy crack whore is a bad tradition. But cookies from Walmart never killed an elf, a reindeer, or Santa. 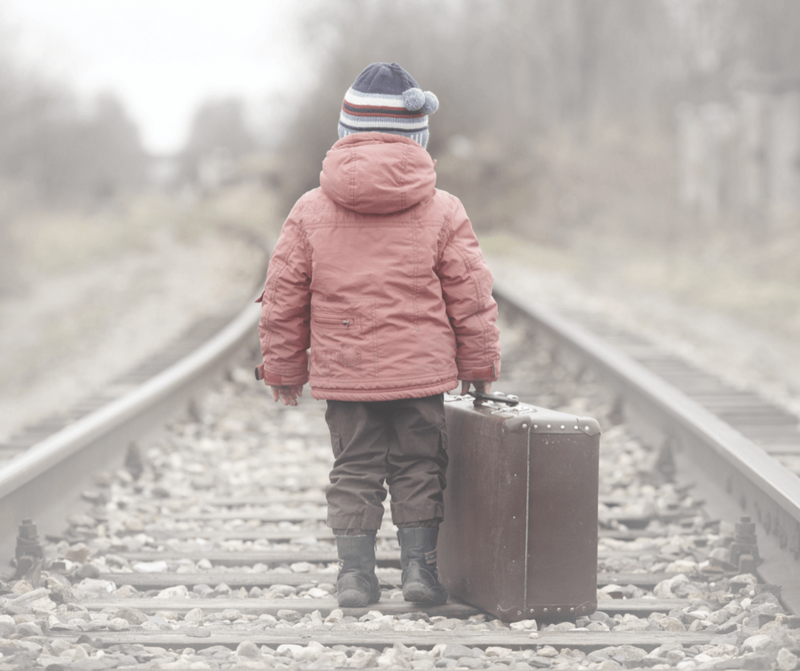 What can come off the list this year while you grieve, heal, or reinvent yourself? Ask Jesus, the star of the show and the reason for the season. He is the giver of good gifts. Wise teacher, loving Father… sweet, dear Jesus. Let Jesus be Jesus… and chill mama. Loving this new makeup sponge can’t even tell I have pores!!! Amen!!! We need to get out of the way and let Jesus be Jesus! I needed to read this today! My dad died Dec 22nd last year, my son barely talks to me, my daughter is awesome to everyone…except me because I apparently ruin her life daily with daring to ask “so,whadayadoin t’day babe?” And now my husband and I are Barry communicating…and I want to world to go away so I can finally see some peace. wits end and whispering to Jesus and he heard me! I’m sorry for such huge losses. Praying for Jesus to be all over your kind self. Blessings and Merry Christmas. This, my friend. “A tradition is only a blessing when it produces good fruit.” May your December be the best month of this year. My prayers for you, Jami and for Michelle. I am sorry it’s hard. I love you. My husband of 35 years took his life 3 weeks ago. Not feeling so Merry. Oh my. I am so sorry. I am just horribly sorry. No, I imagine you don’t feel Merry. Nor do you have to. I will keep you in my prayers. I pray that you able to rest in the comfort of a Jesus. He wept.